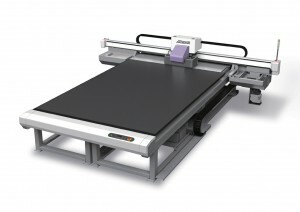 Mimaki Engineering Co.,Ltd, a leading manufacturer of wide-format inkjet printers, Mimaki Europe B.V. and, Mimaki-nbn GmbH are to reveal a host of cutting-edge printing innovations at leading print show, drupa 2012. taking centre stage will be the new JFX500-2131, a next-generation high-speed UV-LED flatbed inkjet printer. Also on show will be the new JV400-LX, a wide-format printer equipped with latex ink, and the new JV400-SUV, an inkjet printer equipped with solvent UV ink. The company will also showcase the Easy Direct Print System[i], an automatic misalignment adjustment system. Mimaki can be found in Hall 9 at Stand C21. drupa runs from May 3 – 16 in Dusseldorf, Germany. In addition to demonstrating its new printing systems, Mimaki will also highlight a number of value-adding applications, including pre-cut specialty label solutions. Equipped with newly developed printheads, the system offers excellent output – up to 60m2/h in four-colour mode, and up to 50m2/h with white ink. The JFX500-2131[ii] delivers highly detailed printing down to 2pt characters. The large-sized flatbed – 2,100mm x 3,100mm – enables direct printing on a wide range of materials up to a 100mm high. Meanwhile the UV-LED curing unit ensures significantly improved curing-efficiency – high-speed printing is now possible without leaving uncured ink behind. And there’s a wide choice of hard or flexible inks to suit every job. The environment benefits too, as the system uses eco-friendly, energy-saving, longer-lasting LEDs. And almost no VOCs are generated by UV-curing printing. Plus the printing process is more efficient, as larger-sized substrates can be used. Alignment accuracy is everything with flatbed printers. However, adjusting by millimetres can prove challenging. This is where the Easy Direct Print System comes in – it uses a dedicated camera and software (a plug-in for Raster Link 6) to read and automatically adjust the misalignment. And because printing data is automatically adjusted against the set jig, accurate print results are achieved even if the setting was roughly implemented. This latex printer features newly-developed, environmentally-friendly latex ink, and enables users to print on a wide range of substrates, including uncoated. At drupa Mimaki will demonstrate manufacturing window graphics using the world’s first white latex ink – only offered by Mimaki – and poster printing using four -colour (CMYK). The media used won’t be one dedicated to inkjet printers, but ordinary transparent film or paper. This revolutionary inkjet printer blends the flexibility of solvent printing with the durability of UV-cured inks. Ideal for the sign graphics industry, Mimaki is proud to unveil a new standard for sign manufacturers – solvent UV. The system delivers never-before-seen glossiness and scratch resistance, while Mimaki’s original solvent UV ink enables unprecedented sign manufacturing. The UJF-3042HG prints the full color image on precut acrylic work pieces in accordance with the shape and position of those materials. Printing jig is simultaneously created while printing work pieces are cut by an optional laser engraving machine. Therefore, if a user already has a laser engraving machine or cnc cutter then they only need to install the UJF-3042HG printer in order to generate new business opportunities. Furthermore, Mimaki will be demonstrating “doming”. This is a process of applying a resin liquid onto the surface of printed material to create a thick layer thus adding value and durability. [i] The dedicated camera reads markings located at the four corners of the jig. This system is exhibited for reference installed on UJF-3042HG. [ii] Since this model is still under development and exhibited just for reference, its features, specifications, etc. may be subject to change without notice.